A follow up to the previous post: the other day we stopped by the tour boat company's boat shop to get some materials. Yamauchi san is their boatbuilder and its always good to talk to him since he remembers the last wooden boatbuilder of the region and he's an experienced sendosan, or oarsman for the river boats. His main job now is to build one or two new fiberglass tour boats a year to replace the older boats in the fleet. 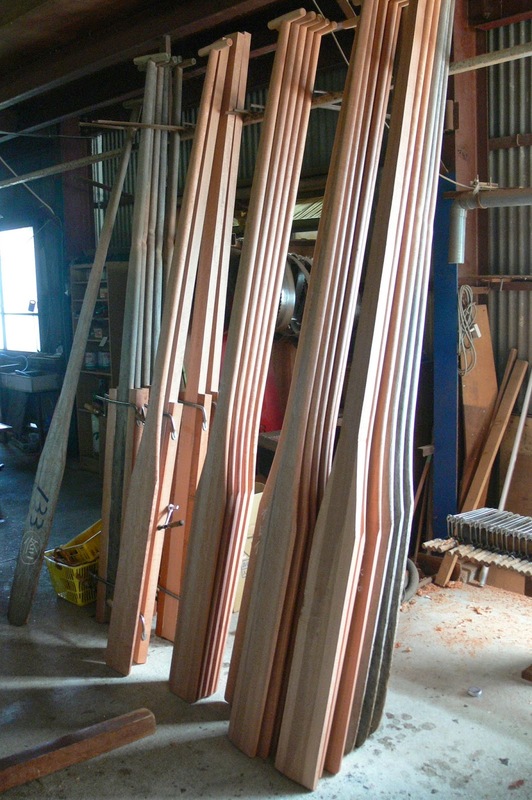 He also is making new wooden oars for these boats. 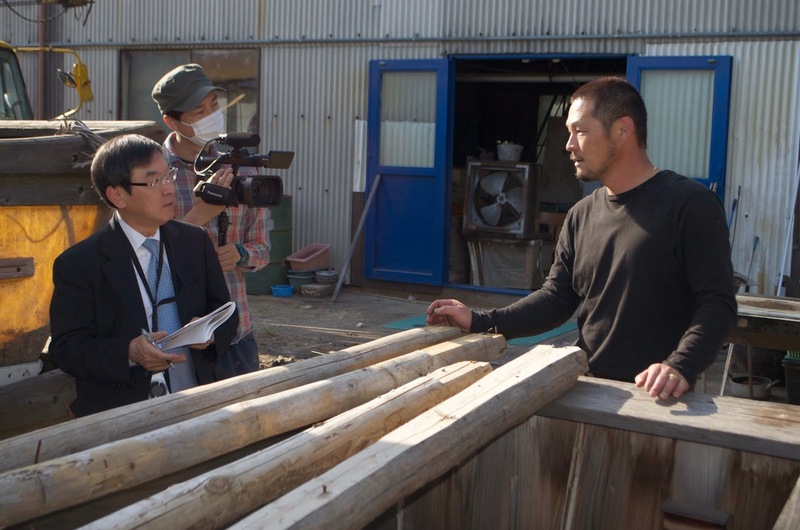 Yamauchi san on the right, talking to a filmmaker and writer covering our project. 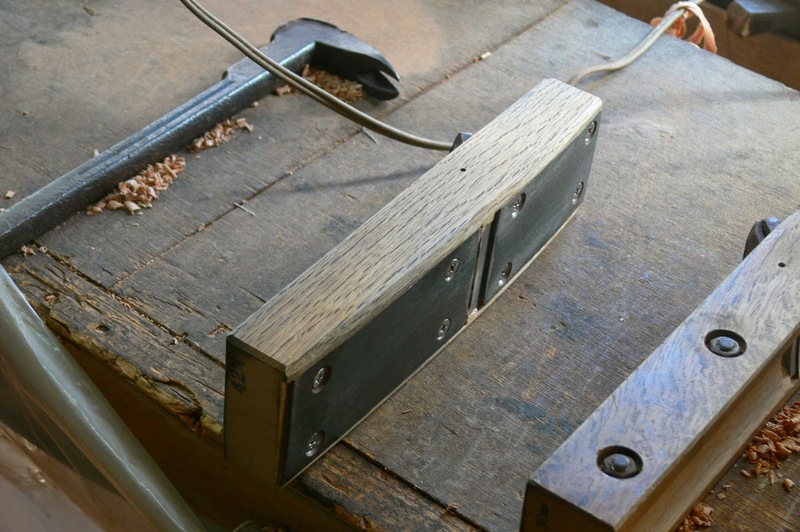 He has a nice innovation of the wooden Japanese plane. 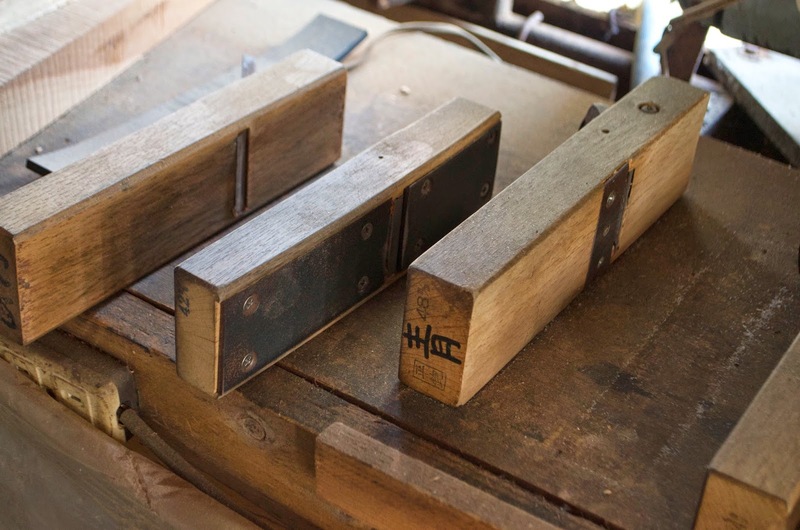 Because he is working the corners of hardwoods when shaping oars, the plane bodies can develop a groove, so he mounts steel plate on them. I joked that he has invented the Western plane. A closer look at this plane. He uses an African hardwood for the oars. These are over ten feet tall.